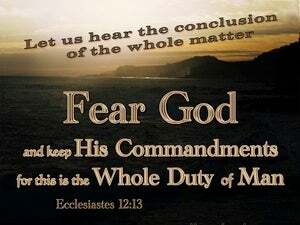 ﻿ Ecclesiastes 12:13 Let us hear the conclusion of the whole matter: Fear God, and keep his commandments: for this is the whole duty of man. When all has been heard, the conclusion of the matter is: fear God and keep His commands, because this [is for] all humanity. Let the conclusion of all of these thoughts be heard: Fear God and obey his commandments, for this is what it means to be human. [This is] the end of the matter, all has been heard: Fear God, and keep his commandments, for this is the whole of man. This is the end of the matter; all hath been heard: fear God, and keep his commandments; for this is the whole duty of man. The conclusion of the entire sermon is heard: Fear God and keep his commandments, for this is the whole happiness of man. We will hear the end of all the word: Fear thou God, and watch his commands: for this is all man. Now that all has been heard, here is the final conclusion: Fear God and obey his commandments, for this [is] the whole [duty] of man. Let us hear the conclusion of the whole matter. 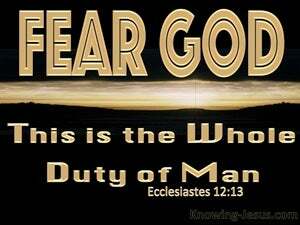 Fear God, and keep His commandments. For this is the whole duty of man. This is the end of the matter. All has been heard. 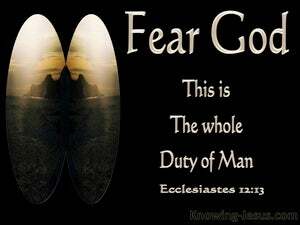 Fear God, and keep his commandments; for this is the whole duty of man. The conclusion of the matter - the whole, let us hear, - Towards God, be reverent, and, his commandments, observe, for, this, concerneth all mankind. The end of the whole matter let us hear: -- 'Fear God, and keep His commands, for this is the whole of man. 12 And further, by these, my son, be admonished: of making many books there is no end; and much study is a weariness of the flesh. 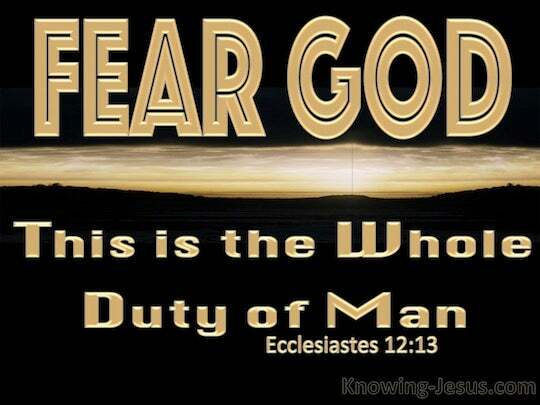 13 Let us hear the conclusion of the whole matter: Fear God, and keep his commandments: for this is the whole duty of man. 14 For God shall bring every work into judgment, with every secret thing, whether it be good, or whether it be evil.